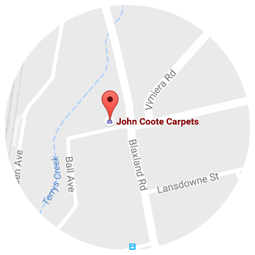 John Coote Carpets has been a trusted name in flooring for over 30 years. We partner with many Real Estate agents across the Sydney metropolitan area to provide a range of affordable flooring that suits their rental property portfolio. In addition, we provide quality, well priced flooring for the property about to be sold that may need a quick update in order to attract the best possible sale price. Our sales team works hard to build strong business relationships with each and every agent. This enables us to provide immediate and appropriate advice and a quick turnaround time. Initial advice assistance with flooring selection, colour and design suggestions to meet the needs of the particular property being marketed. Supply best product at the best price, available within the time frame given. Installation our installers work with you to display a well laid product. All flooring is vacuumed con completion. Carpet repairs where damage has occurred to carpet we offer a retufting and joining service. Best colour matching is also found wherever possible. Carpet cleaning we have arrange of cleaning products in store that will assist with cleaning and maintenance. We also can refer you to a reputable carpet/blind cleaning service if required. Rugs to suit and add value to any home or office environment.